Introducing a world first in pioneering perfume technology: Addictive Arts – an extraordinary perfume experience like no other. A suite of four forbidden perfume pairs, Clive Christian’s Addictive Arts collection takes its lead from the most inspired moments, of dark, degenerate, unspoken need. This collection of perfumes take their name from phrases found in popular culture and written by the world's literary greats. Each scent captures a different mood, taking you on an intoxicating perfume journey through time and space. An intoxicating fusion of expertly extracted and uniquely distilled ingredients unassumingly known as AddictiveFusion™ – this unique form of fine perfumery combines headspace technology, capturing the elusive scents of mood and mind enhancing narcotics, including wormwood more commonly known for its use in Absinth; Coca leaf (cocaine) and Opium Poppy with a molecular blend of bespoke natural ingredients, honed to perfection, untraceable under analysis and impossible to imitate – each perfume’s heart is flagrantly dark and exotic and their profile enigmatic and unforgettable. 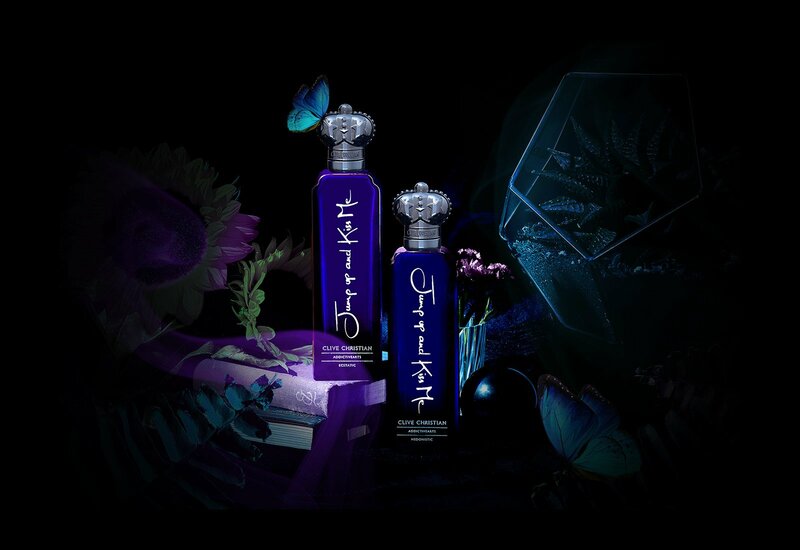 Capturing the craven rush and brazen thrill of twisted hedonism, each Addictive Arts perfume promises to take perfume lovers on a unique trip to scent pharmacology, transcending all normality with a new fragrance genus, exclusive to Clive Christian Perfume. A mesmeric hit of perfume. A bitter slice of almond, armoise and green galbanum. Shimmering sun on an apple skin. The bite of kaffir lime and violet leaf. Below which blooms a white floral of jasmine and narcissus. Neroli, sweet heliotrope and a touch of orris stumble through these golden, hallucinated plains, to reach a woody base of vetiver, cedarwood and patchouli. Dressed with a spiced pop of pepper – the ultimate trip to paradise lost. A whirling, psychedelic dream of a perfume. A fresh top note of kaffir lime leaf and armoise winding round bitter greens of almond, galbanum, apple skin and violet leaf. A smoky incense accord of papyrus fused in labdanum and olibanum. Amidst tones of suede and hot spicy cinnamon, pepper and clove. It moves on through these golden, hallucinated plains, to woods of sandalwood, patchouli, vetiver and cedar. An ecstatic, euphoric leap into the abyss. Built of a fast-beating heart of rich and heady florals –Ylang ylang, jasmine and narcissus. Shadowed by a tender touch of orris and warming cinnamon. 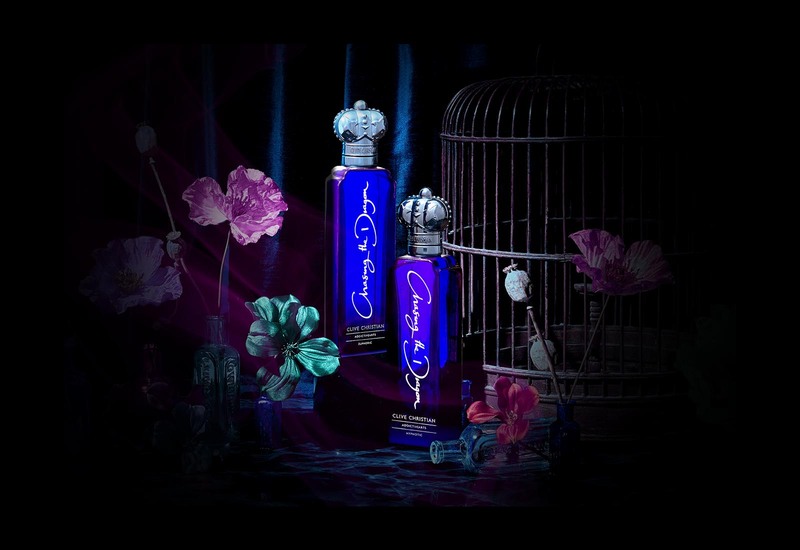 Above – bringing a fresh, chaste innocence – cassis and muguet. While the base melds resins of rich amber with dark, Booze-soaked oakwood notes. Deep patchouli and amber with sensual sandalwood, musks and sweet vanilla, this is a perfume of utter wantonness. This heavy door creaks open, you slip within. To find a noble, addictive accord. From smoky incense, pink pepper, elemi, bergamot and a brief, dying spark of fiery ginger. Whilst rich clove, black cherry and cinnamon sit within basil, fir balsam and labdanum. Rich dry ambers, resinous myrrh and leathery, Liquid amber call out from a darkening crack below. 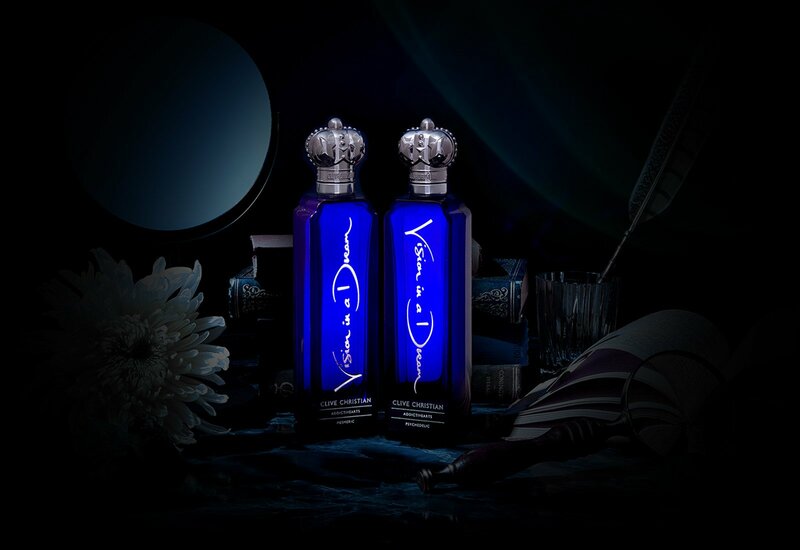 Rich in mosses, dark patchouli and smoky notes of vetiver.A whispered incantation of a truth imagined. A shameless blaze of opulent tuberose and with a medicinal accent on a powdery, sweet base. A dragonfly hovering of mandarin, orange bigarade and pink pepper. The top notes are wrapped in the soft petals of rose and orange flower and encased in jasmine and ylang ylang. Resting all softly on a musky background of amber and soft suede, smoked with rich sandalwood, tonka bean and vanilla. A bolt of sun-warmed paradise. An evocative woody, oriental scent to fix the mind to wanton pleasure. 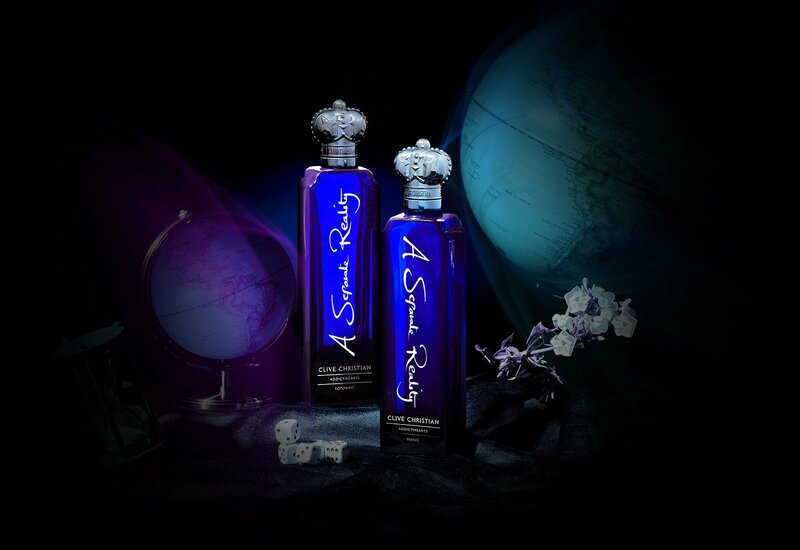 Rich with gourmand, fruity and narcotic notes. A citrus accord of bergamot, grapefruit and neroli. Coupled with a lush, fruity, herbal green accord of black cherry, mate, clary sage and the secretive narcotic accord. Its base, rich with ambers, smoky leather, rich labdanum with a touch of vanilla sweetness. Use wisely – this is a narcotic hit of reckless abandon. Dive into the Addictive Arts collection. If you are ready for an intoxicating experience then put on your headphones, start the video below and close your eyes.